Golf World annually surveys readers for their ratings of the best courses. These ratings, together with information assembled by the magazine's own researchers and editors, provide an authoritative and comprehensive guide to the top 1000 courses in the two countries. Lists of the places to play are selected by professional golfers, course designers, and other professionals within the field. 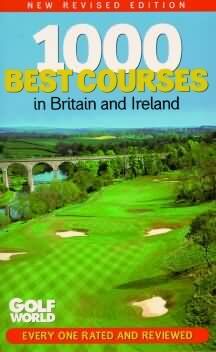 Each chapter covers one county or region and opens with a feature on the course or courses rated best in the area, followed by other courses that have earned a place in the top 1000. Courses are also listed by star rating, and Golf World's own choice of courses, in categories such as the twenty-most-challenging courses, are included. Index 3rd ed. ; First Pelican ed.